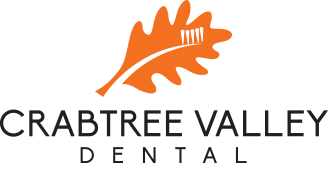 Preventive care and regularly scheduled cleanings at Crabtree Valley Dental for the best dental hygiene possible. Call 919-985-7300 or fill out this form below to ingrain healthy habits and establish regularly scheduled cleanings for the whole family. Ask us about our complimentary childcare! Mention our Get Acquainted Special! Includes oral exam, x-rays, cancer screening, and gum disease screening. Mention the “Get Acquainted Special” when you call. *Valid for new patients only, even those with insurance. X-rays are non-transferable. Not to be combined with other offers. *Not to be combined with other discounts or Smile Savings Plan, and consultation and x-rays required. 16 + Insurance Networks – More than Most Practices in Raleigh. Smile Savings Plan is designed to provide affordability and greater access to excellence in dental care. It is said that “an ounce of prevention is worth a pound of cure,” and this is especially true of proper dental hygiene. Maintaining good dental health through proper behavior and regular check ups can go a long way toward to reducing or eliminating cavities and major problems such as tooth loss, gum disease and the need for root canals, bridges and dentures. At Crabtree Valley Dental in Raleigh we are committed to working closely with our patients – especially our children – to ingrain healthy habits and establish regularly scheduled cleanings. Regular check ups allow our dentists to monitor our patients’ dental health and prevent major problems from developing, through the use of x-rays, extensive cleanings and close visual examination. One very important aspect of preventative care, especially for children and adolescents, is the use of fissure sealants. Sealants are plastic coatings that are placed over molars and pre-molar permanent teeth. They prevent a tooth’s exposure to food and plaque, which dramatically reduces the presence of tooth decay and cavities. Preventive care and regularly scheduled cleanings provide our patients with access to the best dental hygiene possible. This commitment also helps limit the overall cost of family dentistry and gives Crabtree Valley Dental the ability to honor our pledge to provide affordable dental care.